The Men's Pack-It Jacket II is a classic unlined packable rain-shell built on over 30 years experience in outdoors clothing. 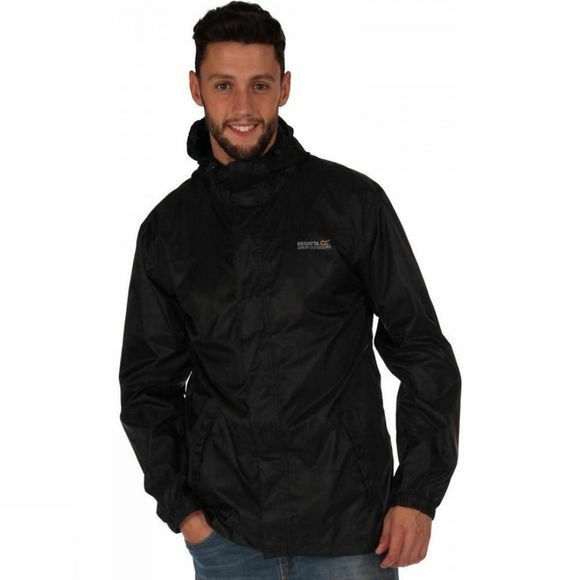 Regatta uses waterproof, wind-resistant and breathable Isolite fabric with a sleek front fastening and adjustable hood to keep the weather out. It's one to keep behind the door, in the glove box, under your desk at work, or more sensibly on you at all times.